Mustard Me Yellow: Here it is. 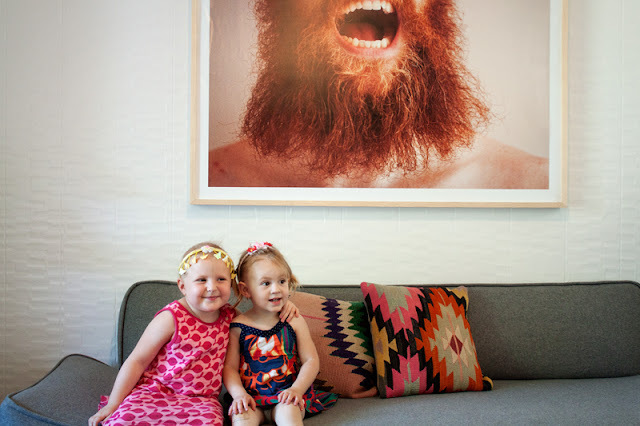 The BEARD has been blown up and is now hanging up on our cousin Bethy's wall. I thought you should all see it. I don't think I've ever seen anything cooler. 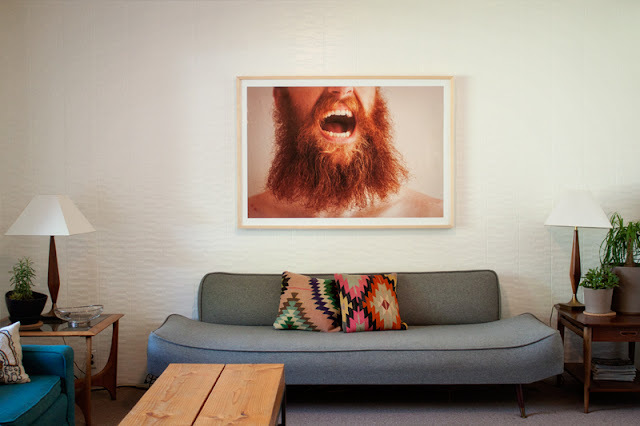 Brandon, you should be honored because you have a shrine on the wall dedicated to your awesome beard! Beth has the best ideas and amazing style. I mean, just look at how adorable her living room is. And she has adorable kids too. Ok. Now THIS is awesome. love it. p.s. did you do Eve's pictures. They look like your work. Very cute. Miss ya. You are too kind deary. Thanks so much for the pic, we love it!! I love it too! Keola- no I didn't. We sure miss you guys! I hope you're all doing well! Those children are secretely terrified. Obviously that was Bran's comment, not mine. Love it. Love those two little dears even more. Ole says, "AHHHHHVI!!!"